We are not our social networks. A social network is an abstraction, or a series of abstractions, that allows us to think about who we are in relation to others. 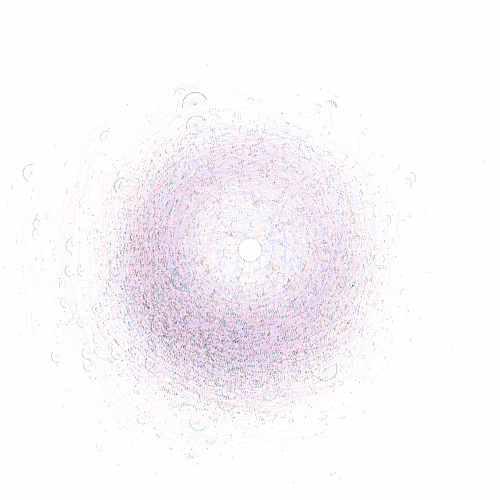 Copulogram of all 10313 members (6018 active, 4295 terminated accounts) generated on 2004-05-22. Note: Not all relations are mapped, encounters that produced no offspring are not visualised to avoid further clutter. Father relations are shown in blue, mother relions in red, children with identical parents are grouped in semi circles. All 43 community founders are shown in the center, the youngest generation is shown on the perimeter.